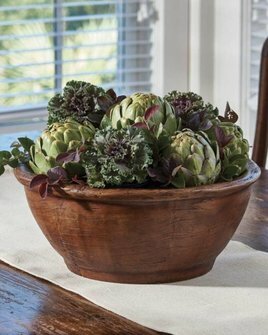 The Treenware Bracken Bowl is an authentic looking faux wood bowl and can be incorporated into today's farmhouse decor. Resin shell with poly foam fill for a lighter construction. For decorative purposes only. 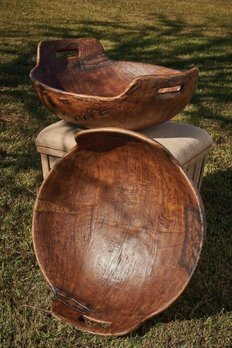 The Everard Bowl with Treenware Handle is a faux wood bowl based loosely on the mid-18th to mid-19th centuries works. For decorative purposes only. 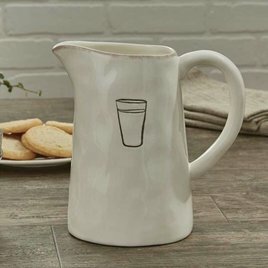 The Villager Pitcher comes from the Villager ceramic dishwater collection and is made from high fired dolomite. In cream background with debossed pencil sketched kitchen icons features brushed edges. A beautiful Farmhouse look for your home!